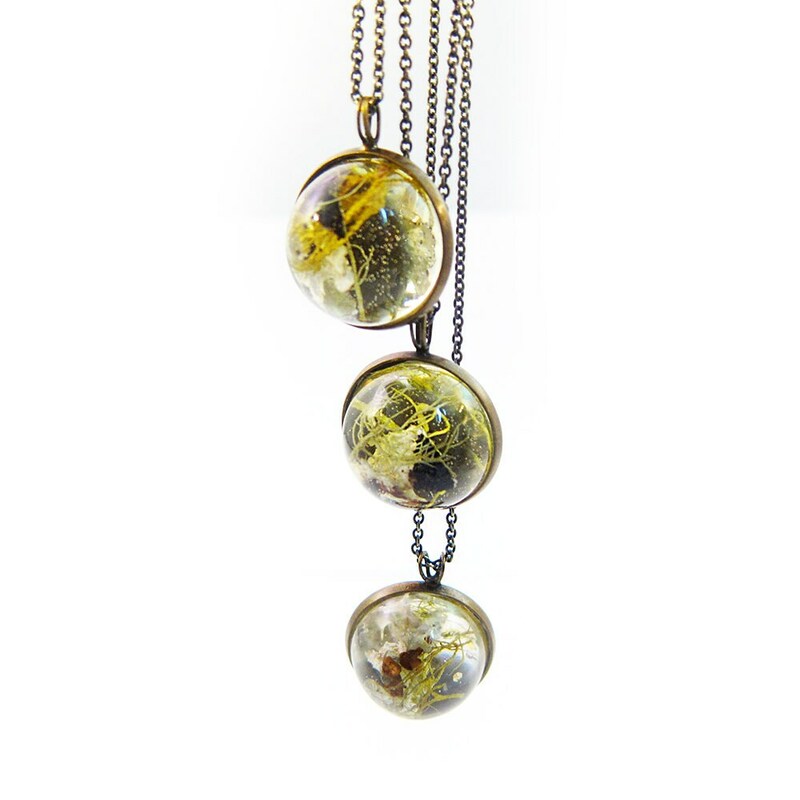 Delicate frilly hand-picked mosses and lichens suspended in a domed crystal clear eco resin bubble. Wear a little piece of mother nature everywhere you go! 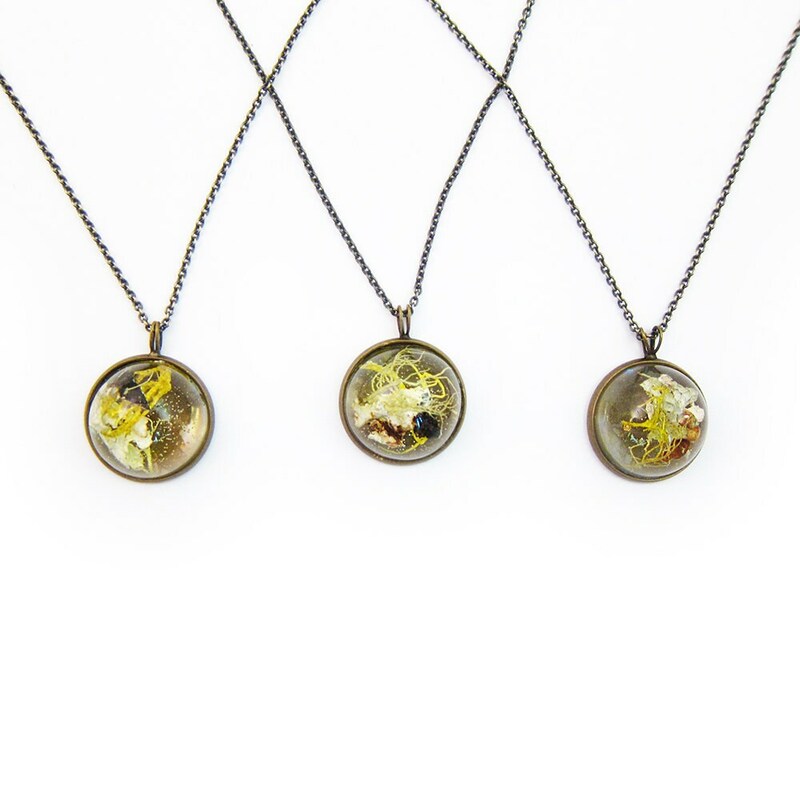 Treat yourself or score a great gift for a fellow botany nerd and/or miniature garden enthusiast. Chain is 18 inches around. 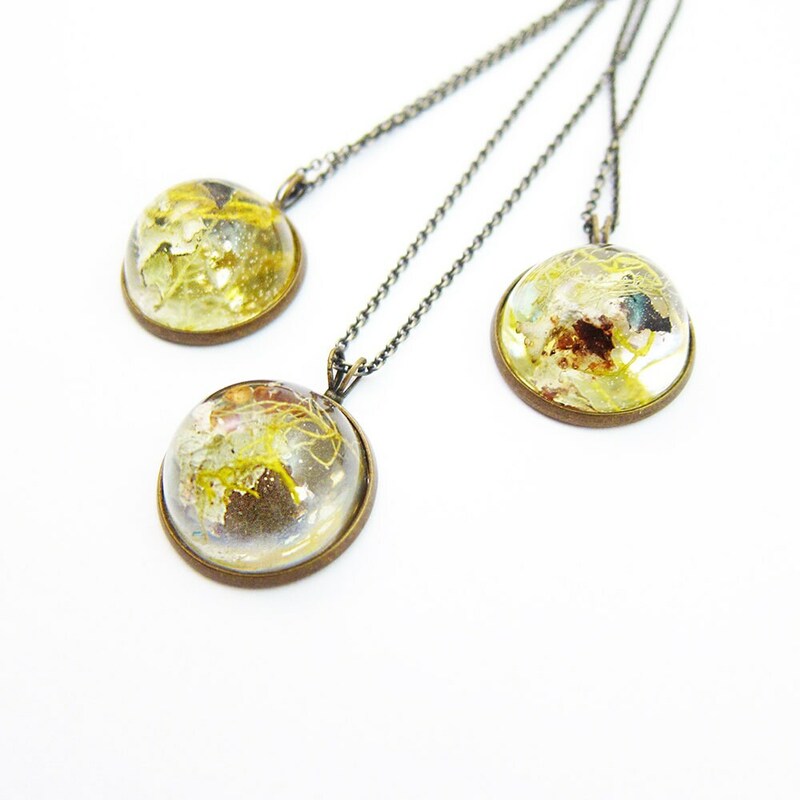 Pendant is 2cm in diameter. beautiful Christmas gift for my friend! She adores it!!!!!!! Beautiful necklace and wonderful seller. Thank you!!! This is a fun and affordable necklace for the person who appreciates having something different than anyone else. Thank you!